In the previous post, I discussed automating content migration process using Talend. As the power of Talend lies with creating meaningful jobs, it solves a particular business problem. More often than not, one job has to talk to another job. The problem can be resolved by utilizing the power of “Context Variables”. 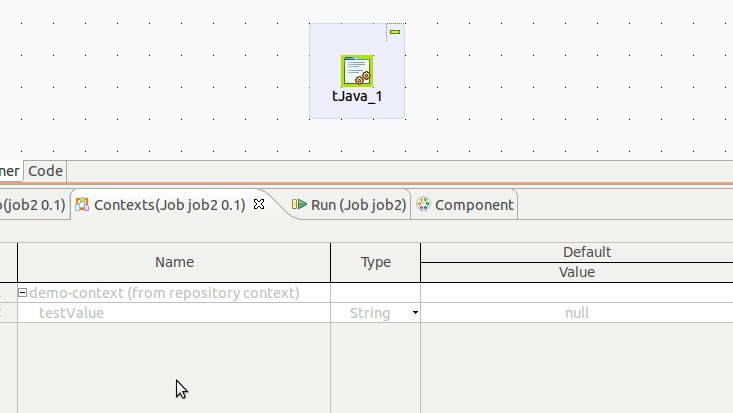 Create a Job 2 like as shown below and define a context variable "testValue"
To access the above value in Job 2 , define this component’s properties as below. 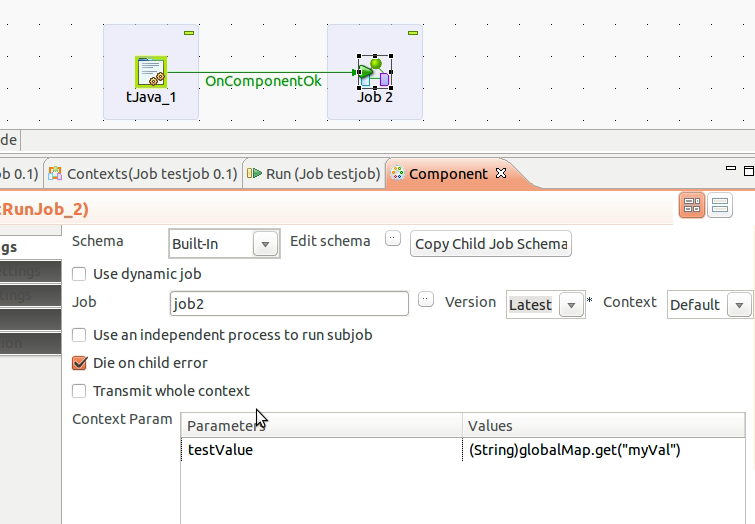 Note the “Context Param" definition, this is how we can set the value in the context variable and retrieve it in the child job.